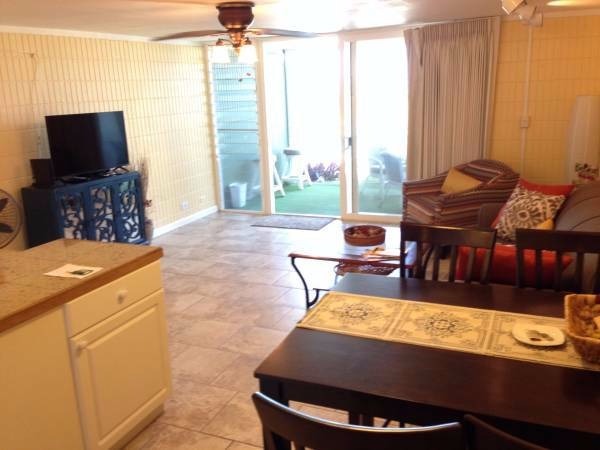 Just 30 steps from the condo to the powdery white sand beach. 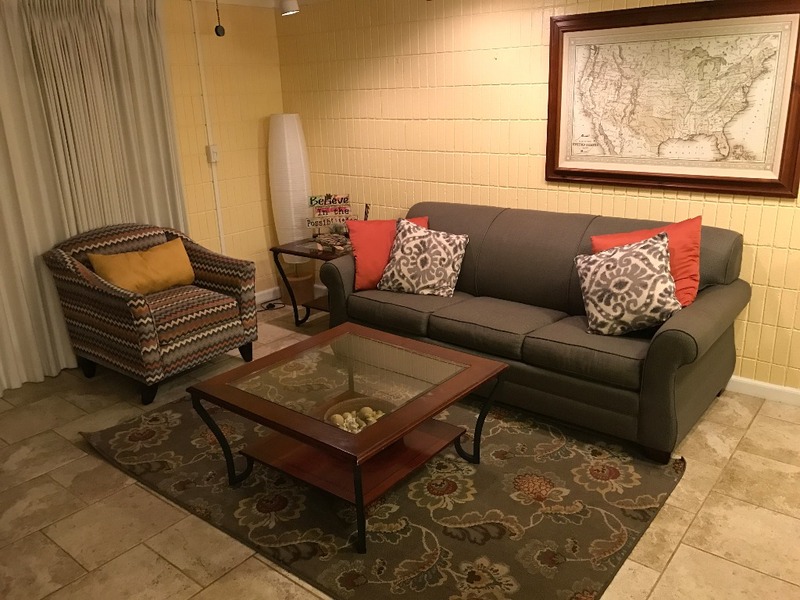 I am proud to say that the unit is even better than the pictures, lots of upgrades and additions that truly make this the best condo in the building. 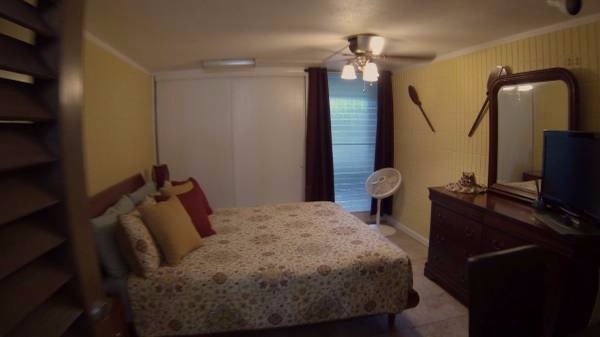 This is a GENUINE one bedroom that sleeps four and more comfortably. 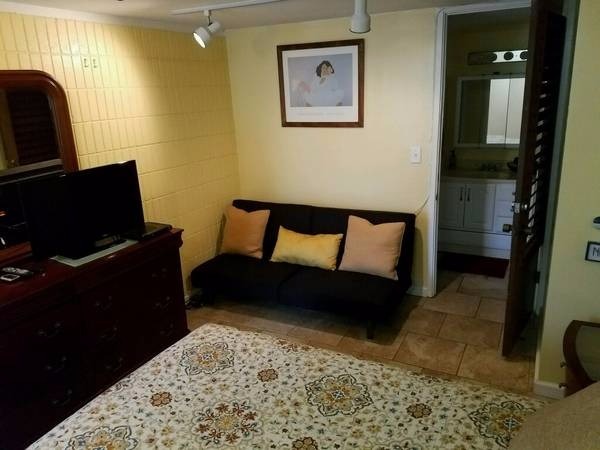 It is not one of those studios with a small bed niche that others in the building try to pass off as a one bedroom. 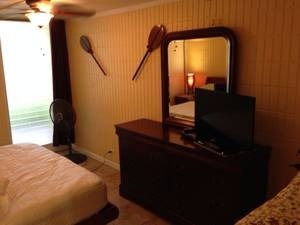 It has a deluxe King sleigh bed with pillow top mattress in the bedroom. There is a top of the line full size sleeper sofa. 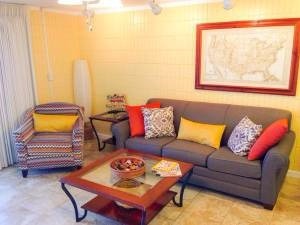 There are also a futon sofa for kids and for extra guests. 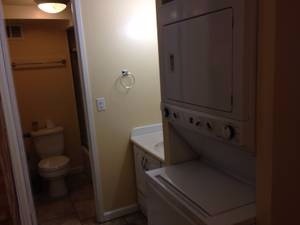 You will find plenty of linens and a full size Kenmore washer/dryer in the condo. There is unlimited high speed access and a wireless signal for your personal laptops. 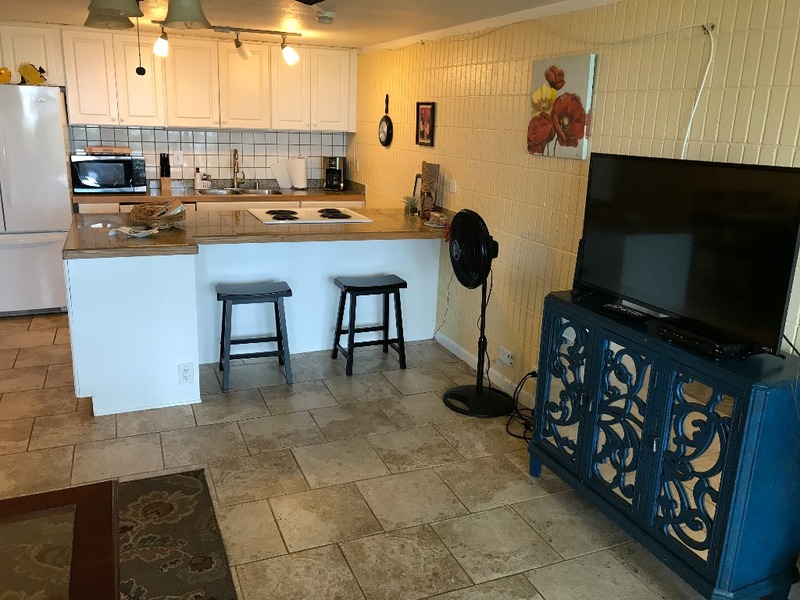 The full kitchen has a large refrigerator, stove/oven, dishwasher, double sink, microwave, coffee maker, blender, rice cooker and all kitchen amenities. There are two LCD TVs. 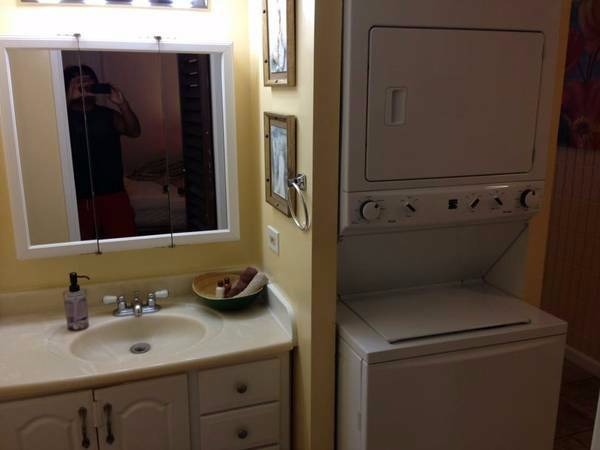 You will also find a land line phone. 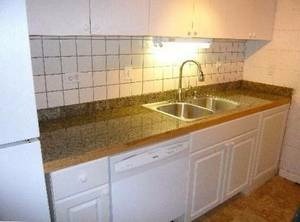 The latest upgrades include granite counter tops and travertine type flooring. 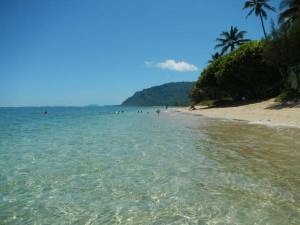 You will enjoy visiting because most of the time you have the white sandy beach completely to yourself. 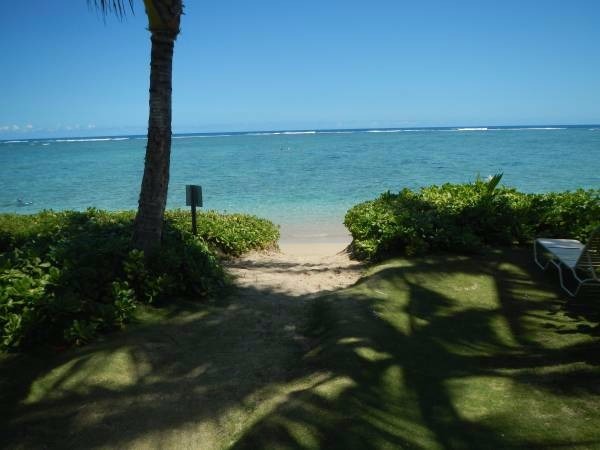 The water is safe because there is a reef area a quarter mile out which blocks the waves. 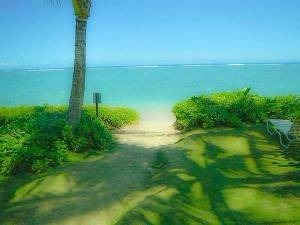 It is perfect for swimming and snorkeling. 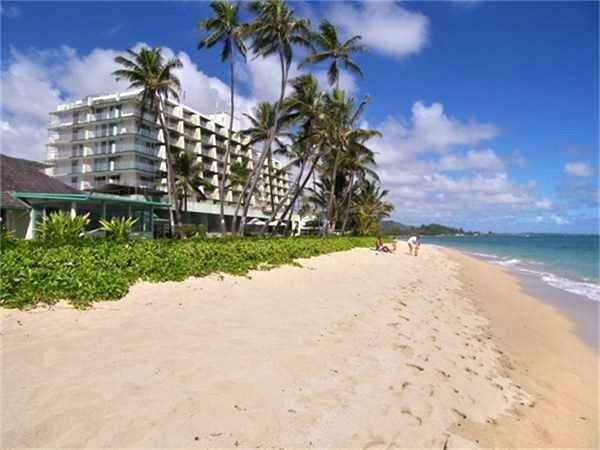 Hauula is on the opposite side of the island from the airport and Waikiki which is 45-60 minutes away. 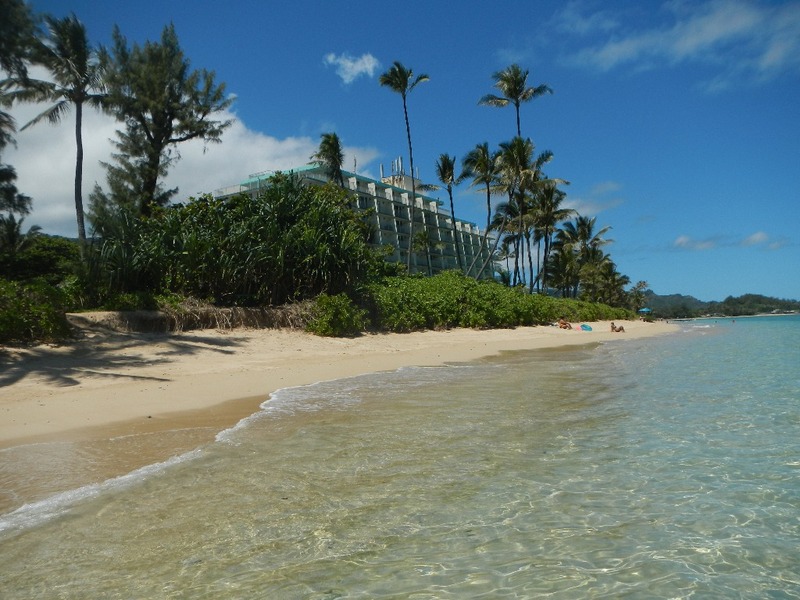 The Polynesian Cultural Center is 10 minutes away and Sunset Beach is 15 minutes past there. 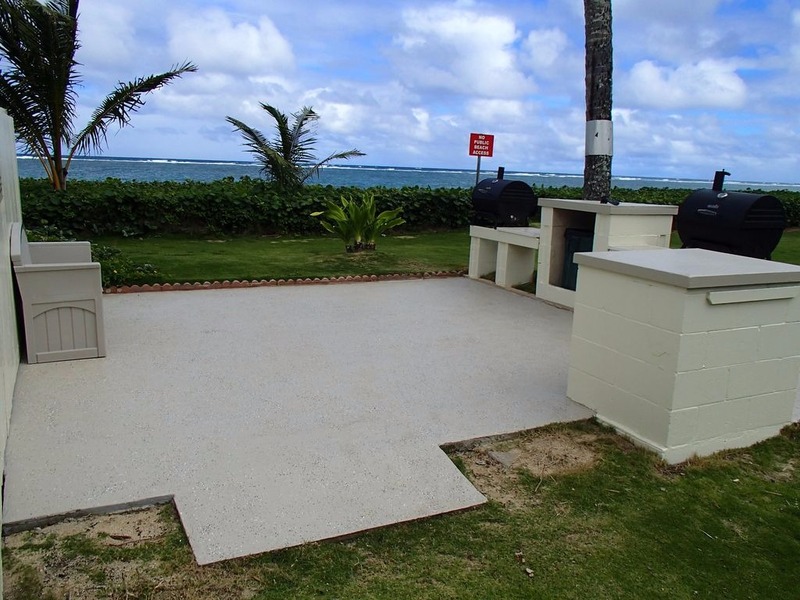 Foodland is a major grocery store chain and you will find one 10 minutes away in Laie. The building is eight stories high. Avoid lengthy elevator waits on your vacation. 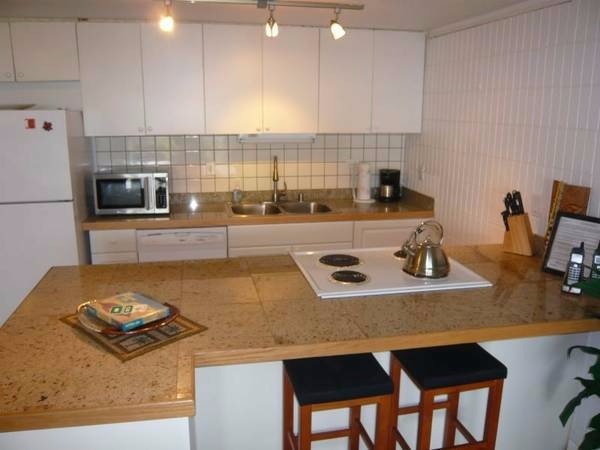 This condo is the ground floor corner unit, the most preferred location. 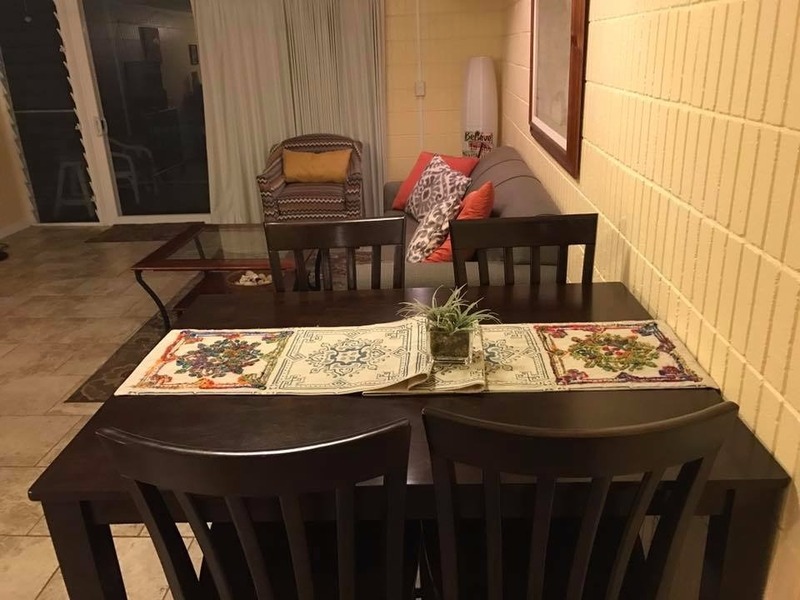 All guests have agreed that this condo is the best located unit in the building. 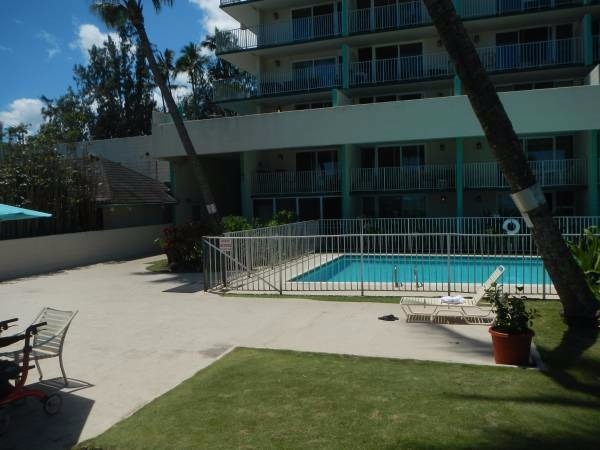 Other amenities at the building include barbeque area, workout/weight gym, swimming pool next to the unit with a sunning deck and chairs. There is a small convenience store across the street connected to a Subway sandwich shop. 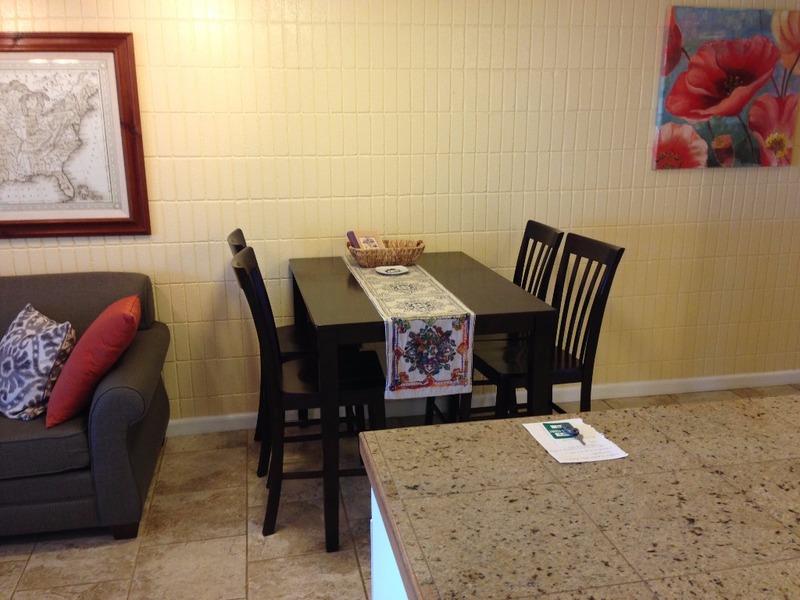 Your parking stall is included and located in front of the unit. from: Honolulu Intl Airport to: 53-567 Kamehameha Hwy #116, Hauula, Hawaii 96717 - Google Maps As you're leaving Honolulu International Airport take the Interstate H-1 (West) to Waianae Exit. Stay on H-1 (West) until you reach theInterstate H-3 (East) Exit to Kaneohe. Take H-3 over the Koolau mountains to Kaneohe Town. As you are coming down H-3 into Kaneohe you will see the Exit #9 to Kaneohe via SR63 (North) also known as the Likelike Highway. Take SR63 (North) to the SR83 exit also known as the Kahekili Highway exit. Stay on the Kahekili Highway going North towards La'ie. At the town of Kahalu'u Kamehameha Highway merges into the Kahelkili Highway and becomes Kamehameha Highway for the duration of your drive. (There is a local market "The Hygenic Market" and a Seven-Eleven at this intersection). Do NOT turn here...just keep driving north along the Ko'olau Mountain range. Keep going North towards La'ie on Kamehameha Highway, you will not have to make any further turns from this point. 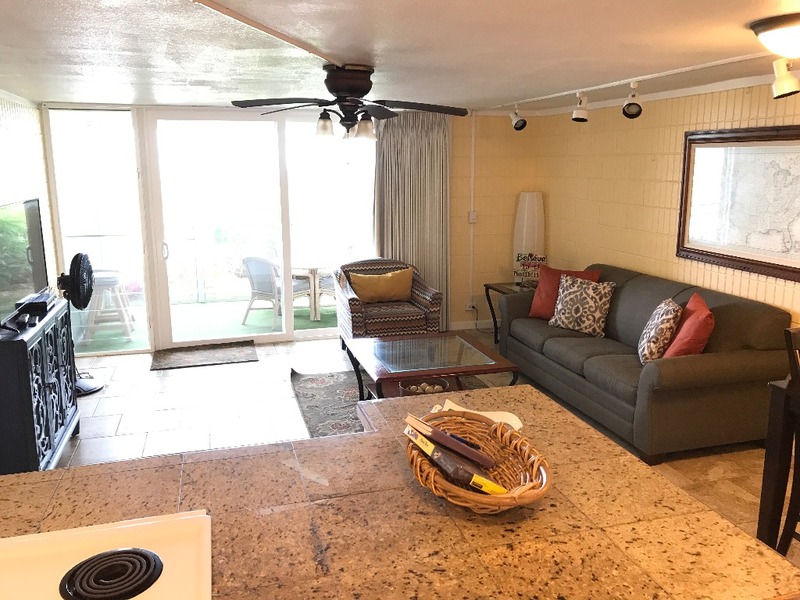 Just sit back and enjoy the magnificent scenery of the Windward coast and the Ko'olau mountains. You will arrive in the town of Hau'ula in approximately 30-45 minutes depending on traffic. 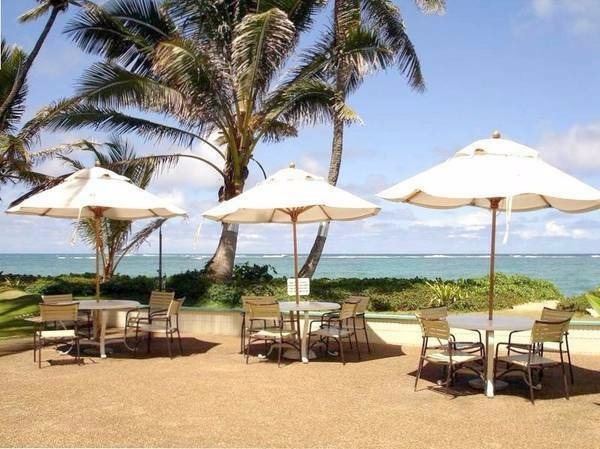 The address is 53-567 Kamehameha Hwy. #116, Hauula, HI. 96717. 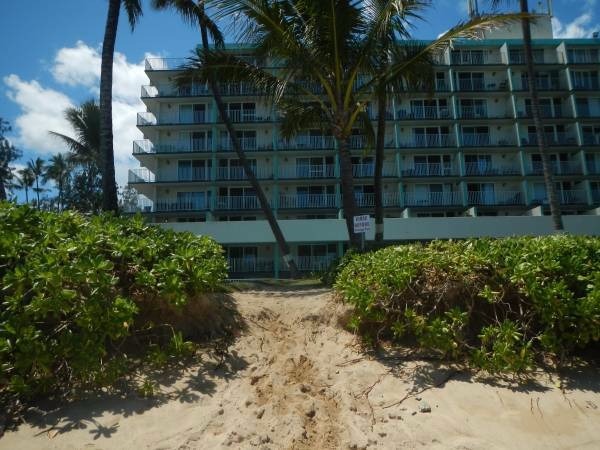 The name of the building is Pat's at Punaluu on the right side of the road(oceanside). There are only two high rises on that side of the island. They stand right next to each other. Your building is the second one. 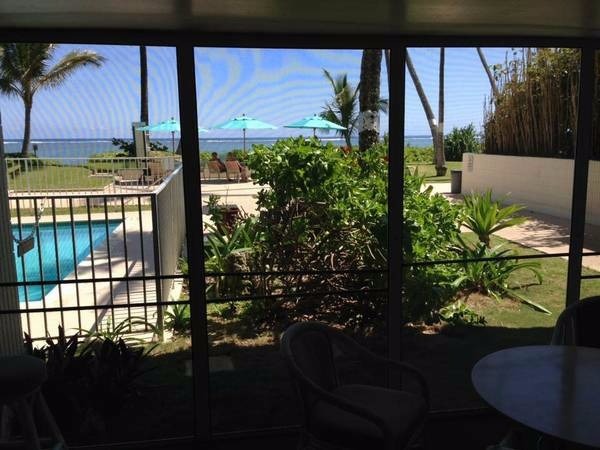 As you are looking at the ocean the unit is on the ground floor farthest right side. 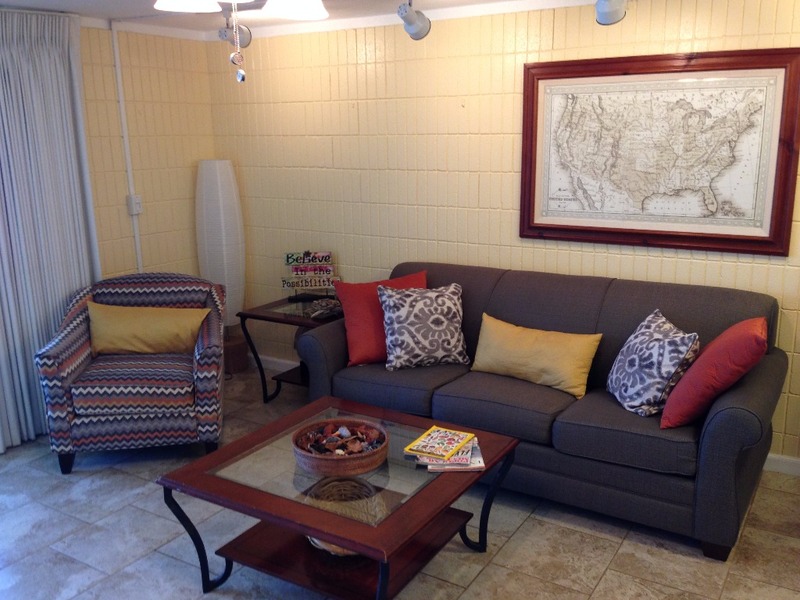 Reservation cancellations 30 days or more prior to your arrival will be subject to a $139 cancellation fee. For cancellations within 30 days of the scheduled arrival date there is no refund.